From the very beginning of the implementation of the factory system in what would become known as the United States the intention was well established. Both the British and American forces used the system of slanted trade and dishonest treaties to grab land and decrease the native populations' numbers. Through the spread of disease, both intentional and indirect, the white settlers were able to increase the dependency of their "allied" Native American tribes and decrease the strength of their native foes. Economics, disease, and forced famine all became tools used to complement the system set in place by the English and perfected by the Americans. In Burma a less prevalent system of forced dependency and rampant lies has been established when dealing with the native Rohingya peoples of the Arakan state. For well over 40 years now the government of Myanmar has been employing drastically slanted economic standards upon the Rohingya within its borders. To achieve this the Burmese have denied citizenship to the Rohingya to limit what economic opportunities the Rohingya have available to them. Burma has also used punitive taxes to keep the Rohingya permanently impoverished. And to add to what already appeared as an unfair playing field, Myanmar's government allows for the state to utilize Rohingya people as slave labor. This method of applying an economic slant when dealing with the Rohingya follows the same patterns laid out by the Americans when conquering the old Indian Territory of Indiana. The only major difference in this situation is the fact that Burma does not recognize the Rohingya as an independent nation as did the Americans when dealing with native tribes. But with that distinction made, it is still hard to miss the abuses of basic economic principles by both the American government in the late 18th century - early 19th and the same abuses carried out by Burma. Today in Burma actual trade of goods and food items is banned by the Arakan authorities when dealing with Rakhine and Rohingya groups. The only access to food, water, and basic living supplies (such as medicine and house hold items) is dictated by the local authorities at the advisement of the Burmese government. The intention behind this policy is to both assure that starvation and disease increase amongst the Rohingya and that economic liberties of the Rohingya are stifled. As for the Native Americans, the same economic policies were carried out by baiting the tribes into first establishing trade and then skewing the rates at which trade was carried out. To further increase dependency the American government encouraged citizens to avoid trade with the natives and instead focusing trade at the forts (factories) and trade post. This meant that if Native American tribes wanted to trade they would have to come to the American government to do so. And by doing so the natives were trapped in unfair and often unjust trade agreements. When the area in which the tribes of the old Indian Territory were decreased by simply redrawing the maps the Native Americans within the territory found themselves not only locked into trade deals they could not understand, but also competing with settlers to whom the deals did not apply. This meant that competition for food supplies and land became more desperate than ever before. Access to food was intentionally decreased as American officials "purchased" hunting grounds and redistributed them to white settlers. In essence, the food they needed was handed over to people who hated them. For the Rohingya of the Arakan the access to food is often achieved through the good will of the few human rights groups (exp: Partners Relief and Development) willing to operate under Myanmar's miserable conditions. Food that is just sent into the country by outside sources on the other hand it more often than not unfairly distributed by the government. Most of this food is given to the Rakhine communities while some is sent to camps ahead of human rights groups to give the illusion of some effort being made by the Burmese. In both cases the forced famine is the worst killer the two governments could produce. It is meant to win the war over the long haul while the enemy at the time starves slowly. For the Native Americans in Indiana this led to the rise of great leaders like Tecumseh and Blue Jacket (Weyapiersenwah). These brave warriors led their people in a seemingly apocalyptic battle to save what little they had left. For the Rohingya there have not been these such figures thus far. Instead the Rohingya have been expected to accept extinction while the world watches them march off to the grave. In the aspect of battles the Native Americans in Indiana had Tippecanoe and Fallen Timbers. The Rohingya of Burma on the other hand have forty years of struggle pot marked with cases of ethnic cleansing and genocidal efforts to wipe them out. In June of 2012 the latest inferno of ethnic violence broke out as the Rakhine were whipped into a fury by Rakhine Nationalities Development Party (RNDP) propaganda. There has been little opportunity for the Rohingya to fight back. For the most part the Rohingya can only take to the sea as a form of fighting back... in other words... fight or flight. When Illinois became a state the Native peoples of Indiana had nowhere left to run. The Indiana Indian Territory was their grave or prison given the disposition of the American government toward their tribe. Many would flee westward or be marched there forcibly. Others would take to the great white north. Rohingya who flee to Thailand face an ironic twist in the fact that they are forced back out to sea. The system used to drive the natives of coveted territory is often the same regardless of the era in which it is used.The government that uses these tactics does so knowing that the outcome will be the devastation of the community which stands in the way. With the Native Americans the trade off was the destruction of the natives for more land than America knew what to do with. With the Rohingya the trade off is an ethnically pure state with land and resources to exploit for the over development of Burma's coast. It also means that the Buddhist Rakhine no longer would have to tolerate the Muslim Rohingya. 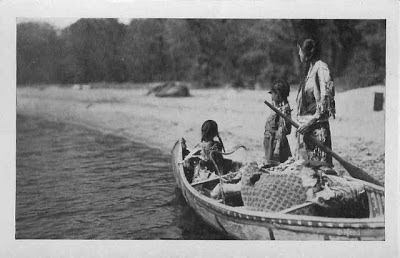 The comparison between the Native American tribes in Indiana and the Rohingya of Burma ends with the fact that the Native Americans of Indiana are all but gone today. 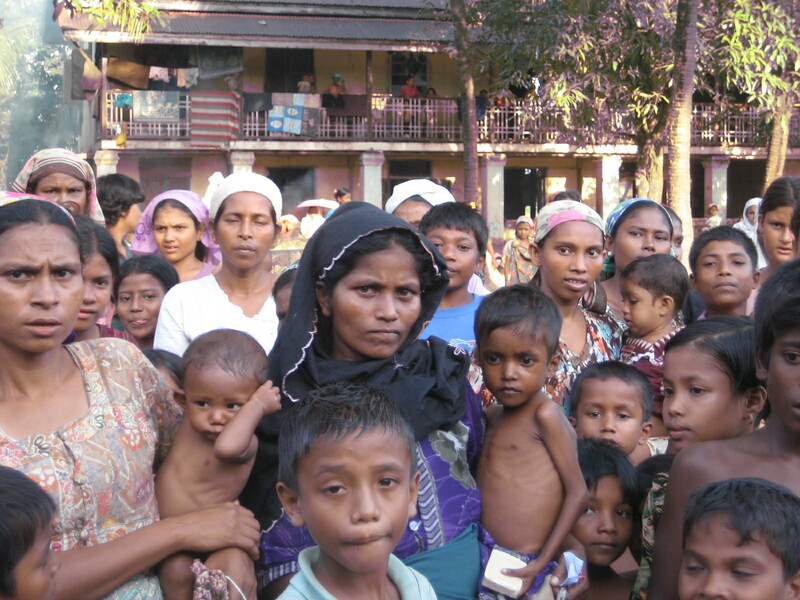 The Rohingya still exist in numbers that still resemble their original populations. The Rohingya are dieing in numbers that they have not seen in almost a generation. The Rohingya that are not accepting starvation are taking to the sea to escape. Either way they are almost guaranteed death. As of now however, the Rohingya still live. No matter how miserable life may be, they are still alive. This will only remain so however if the outside world intervenes and puts and end to the heartless massacre of the Rohingya by the Burmese Arakan state and the government. It must be made clear that we as a world community will not tolerate this crime against humanity.